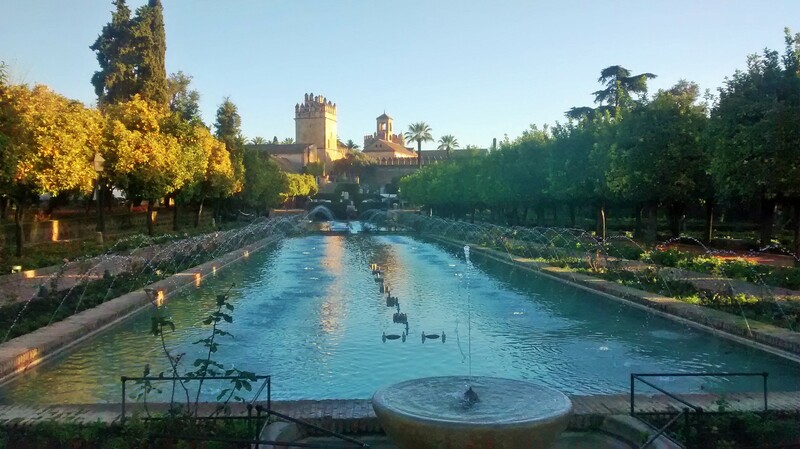 The Alcazar de los Reyes Christianos (Alcazar of the Christian Kings) blends the formality of royal palace gardens with the strong Moorish influence often found throughout Andalusian Spain’s gardens. 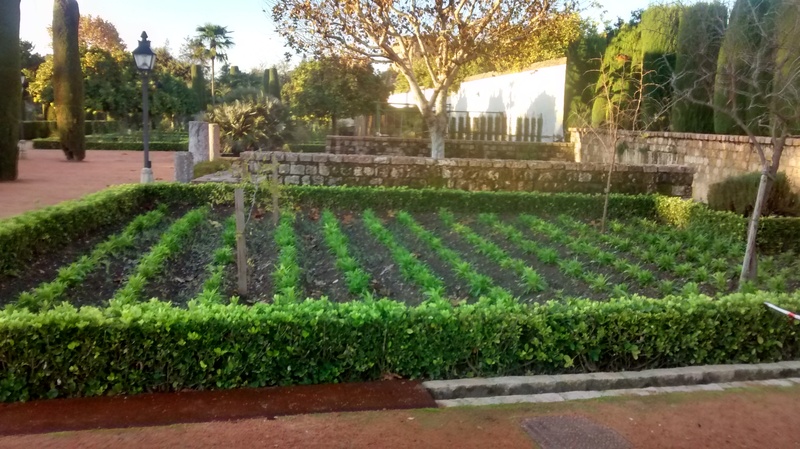 The gardens are laid out as terraces, with the top one collecting water from the mountains and irrigated the lower terraces. 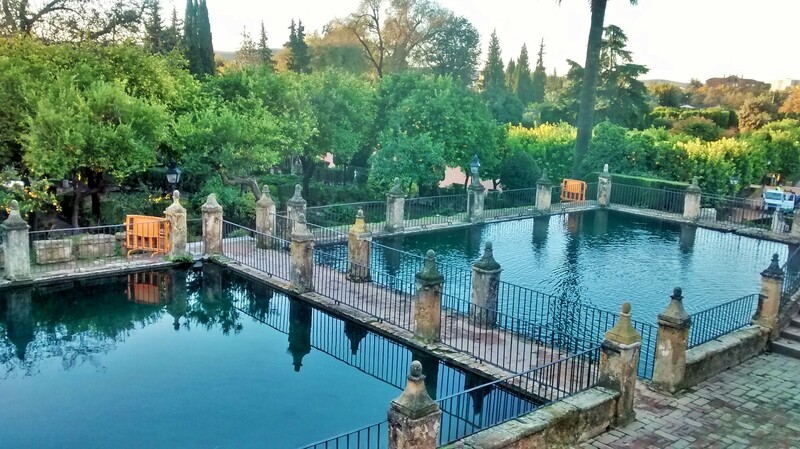 This top terrace features two large pools, and steps lead to the lower terrace which features three large ponds. 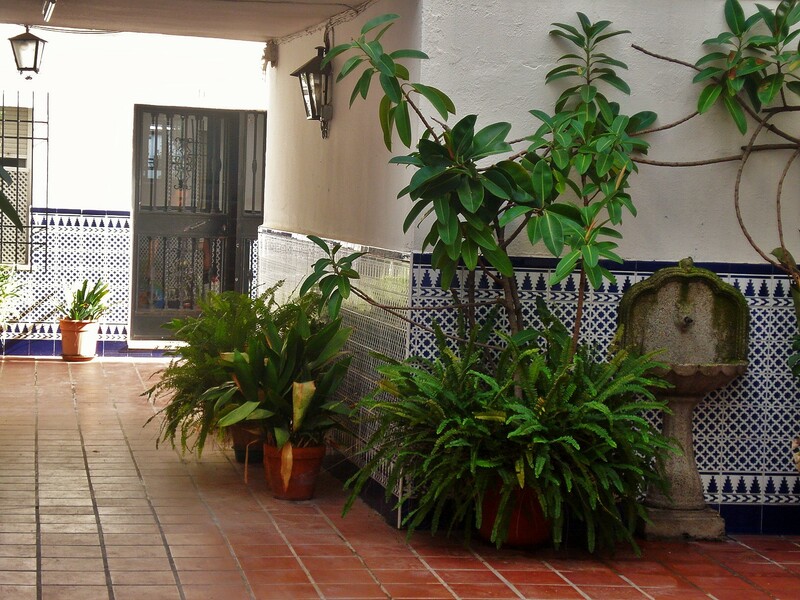 A middle terrace is located at the southern end. 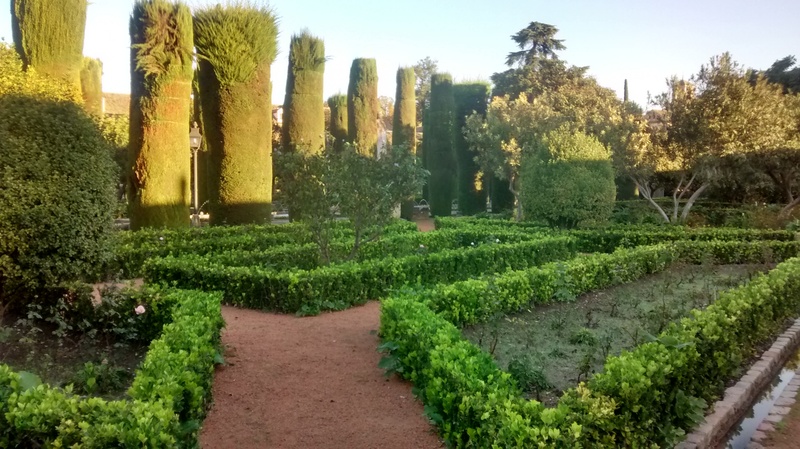 The gardens are planted with tall cypress edges, while boxwood in a grid pattern edges rose gardens. 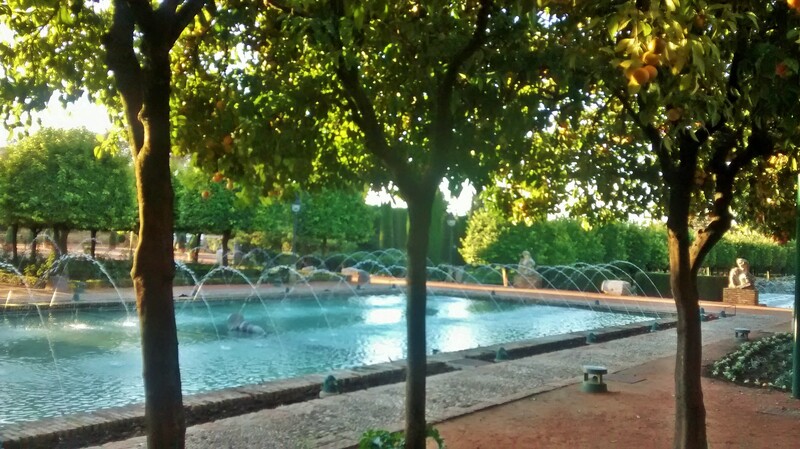 The water features are the focal point of these gardens, and the entire perspective follows the large pools framed in by the plantings. 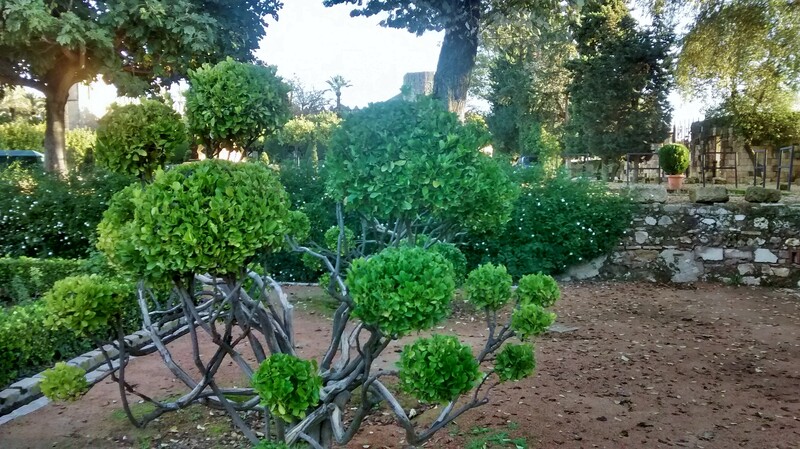 The city of Rabat, capital of Morocco, is a Unesco World Heritage site, and the Jardins d’Essai Botaniques, literally meaning Gardens of Botanical Trials, was classified a national heritage site in 1992. 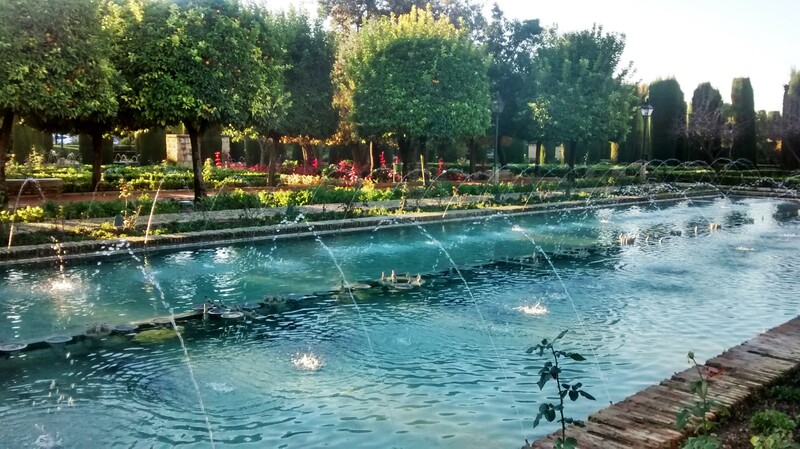 These gardens were created between 1914 and 1919, under a joint initiative of the sultan Moulay Hafid and the French Protectorate. 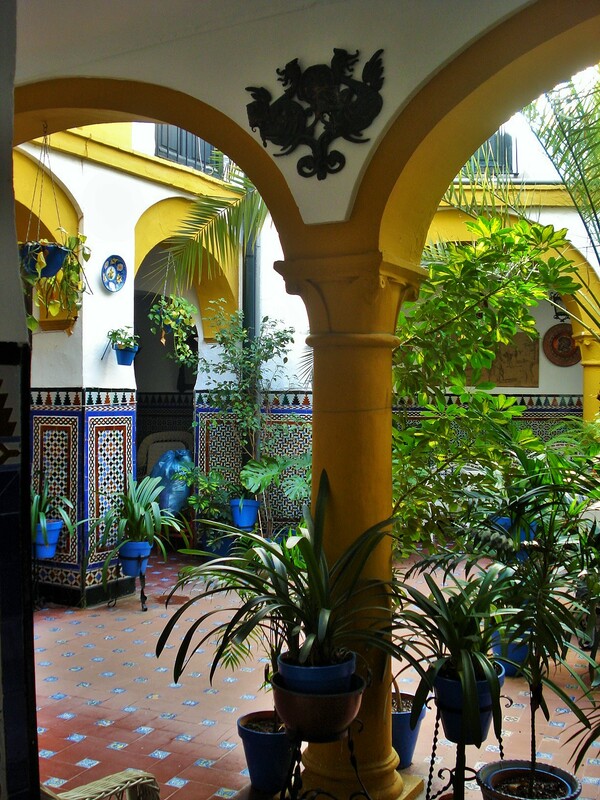 They were designed by one of my favorite garden architects, Jean-Claude Nicolas Forestier, best known for the Rose Garden and the Iris Garden of Bagatelle outside Paris, but who created gardens in Spain and Morocco in addition to his city planning work as a French public servant, laying out the plans for the modern cities of Morocco. 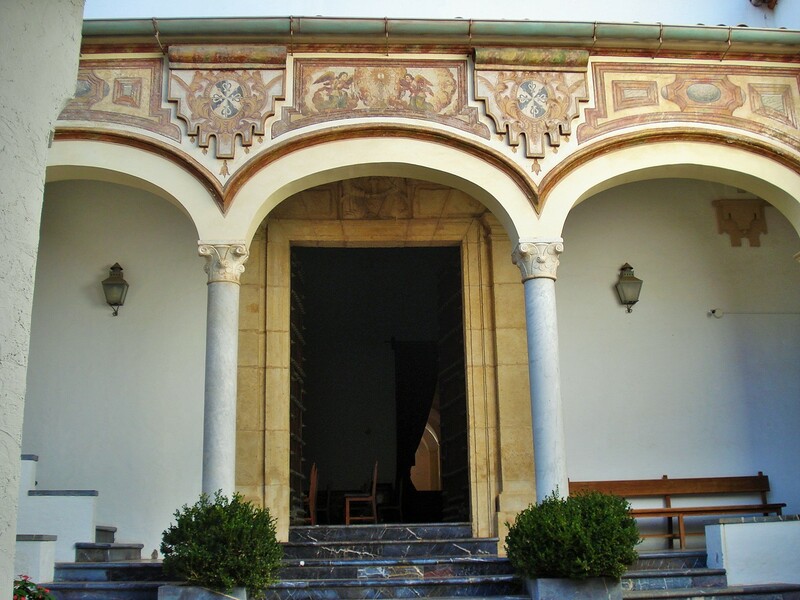 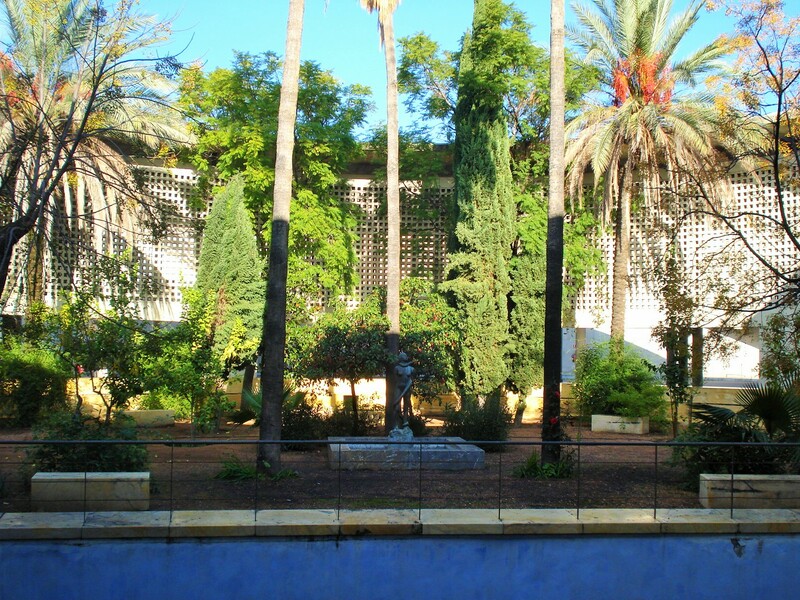 The gardens were reopened by the current King in 2013, following extensive renovations after years of neglect. 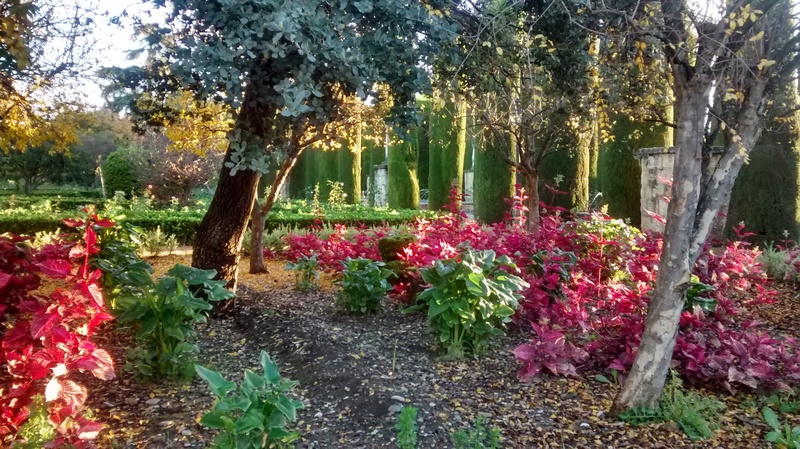 They include over 650 species of plants, including rare varieties of tropical, sub-tropical, and succulents, and an arboretum. 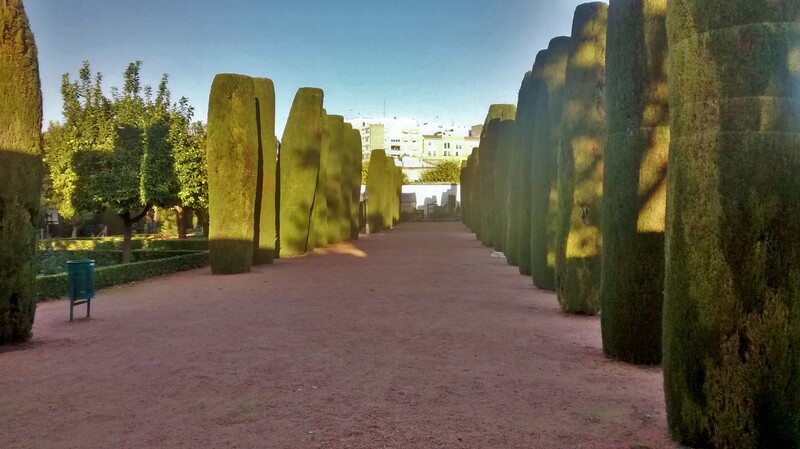 The Jardins d’Essais are separated by a road into two distinct gardens. 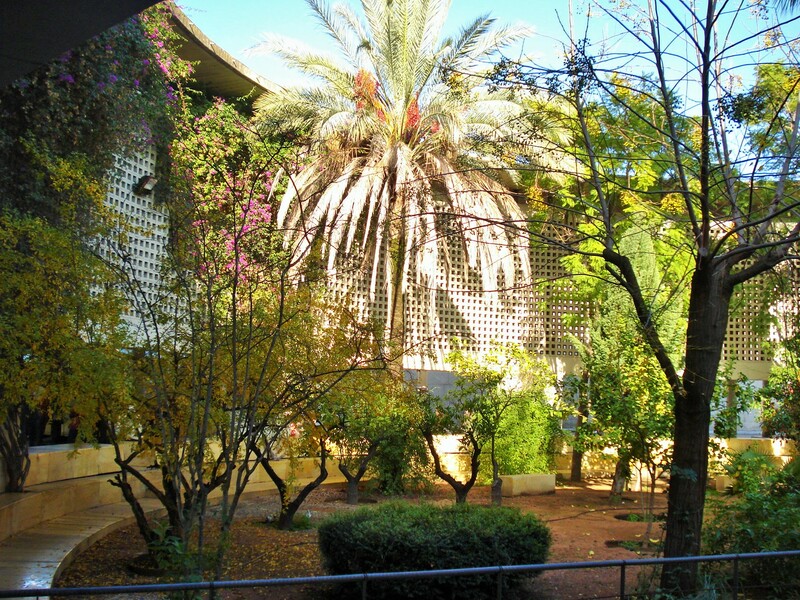 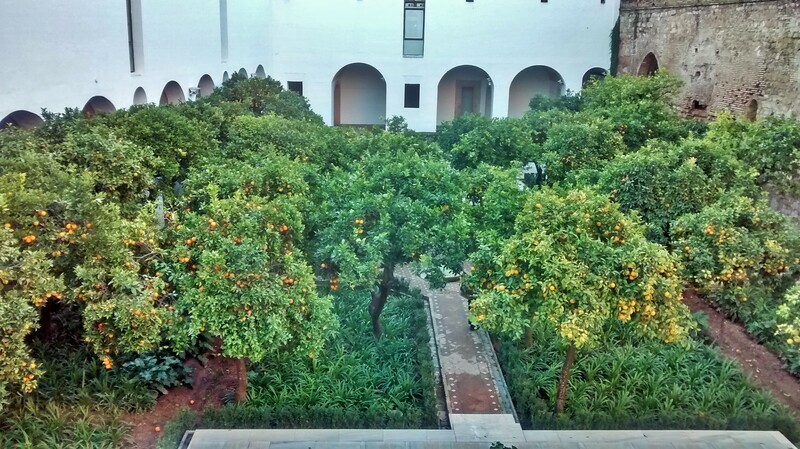 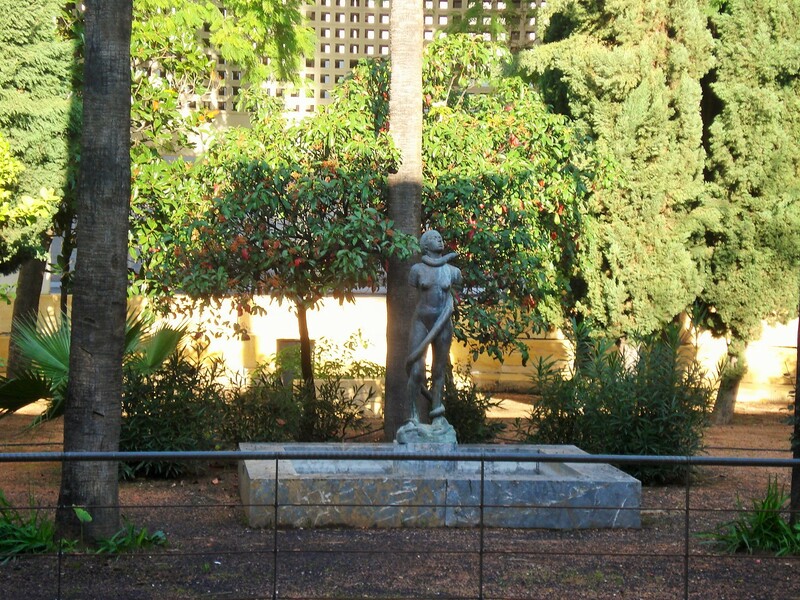 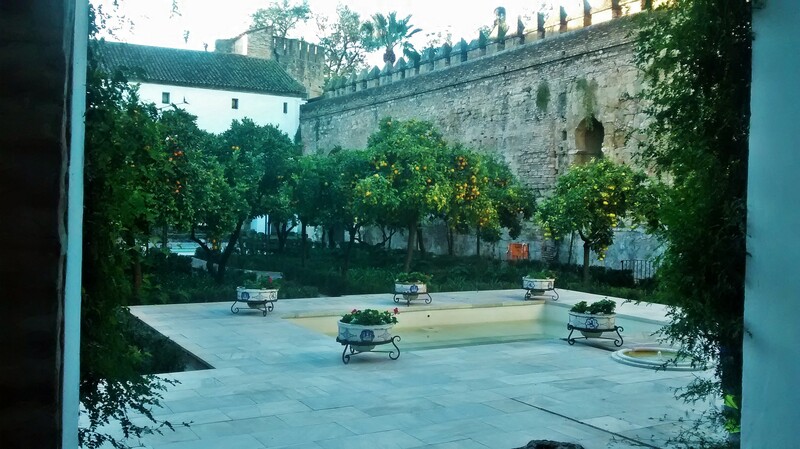 the western side includes the Moorish garden and museum, while the eastern garden is a bit larger and more formal, with distinct garden areas for various types of plants. 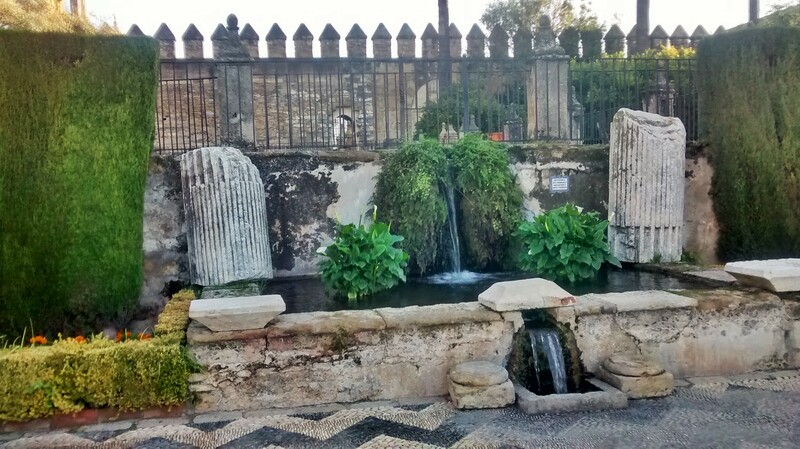 Because there is a good bit to see here, I am dividing this into several posts, and this is the final post featuring the Aquatic Garden and the Succulents and Cacti Garden. 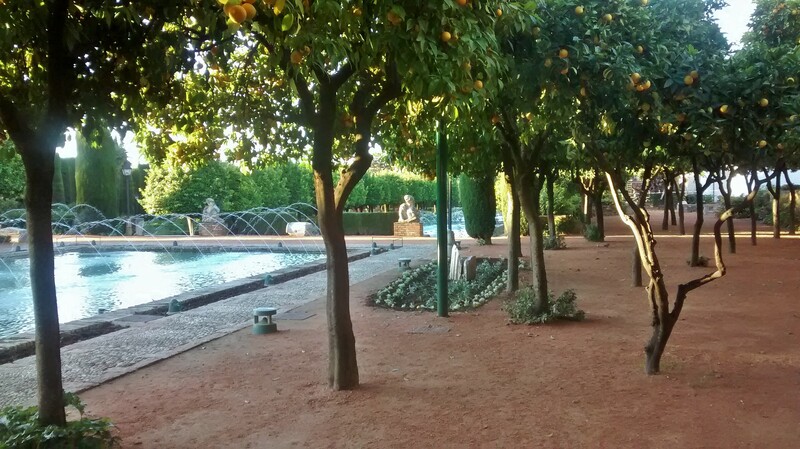 Both of these gardens are set off the main promenade which is the axis for all the different theme gardens such as climbers, roses, palms, etc. 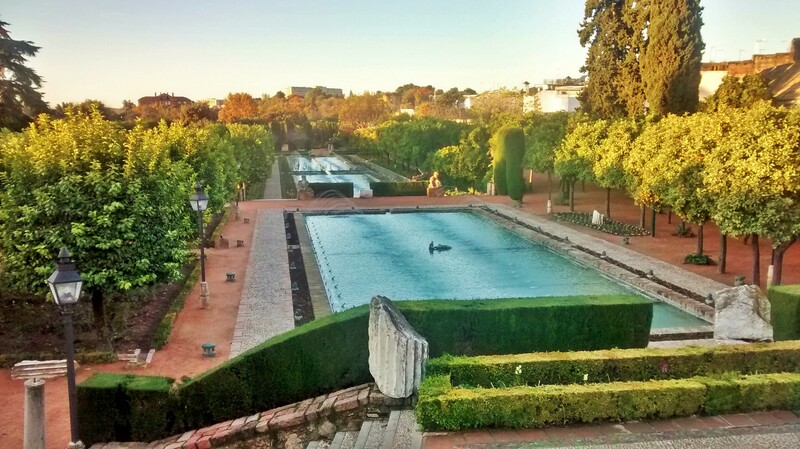 The aquatic gardens, much like other areas of the gardens, are still a work in progress. 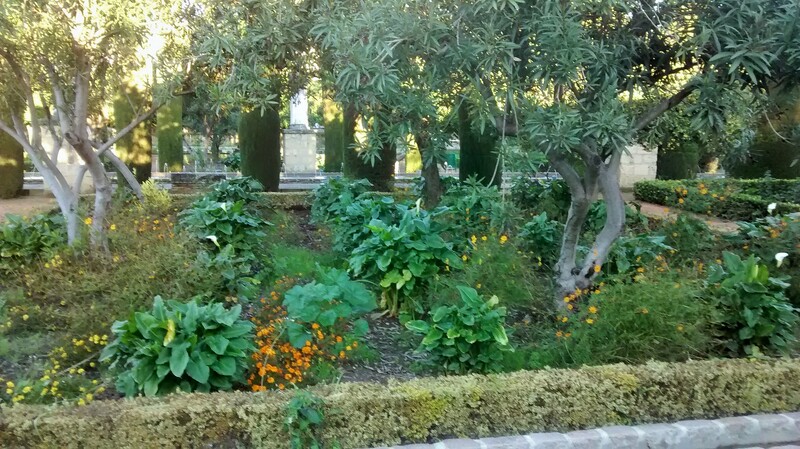 The succulents garden is more mature and literally is a small cacti forest, with many large mature specimens, and a great many species not found outside greenhouse in the western hemisphere. 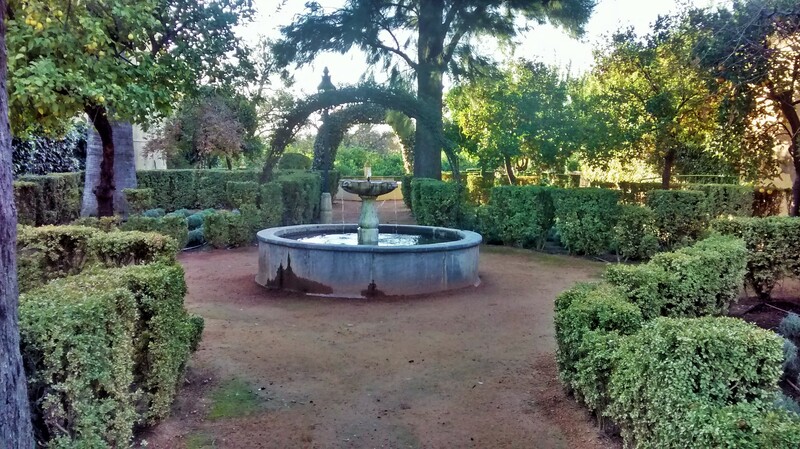 Because there is a good bit to see here, I am dividing this into several posts, and this is the third post on the eastern gardens. 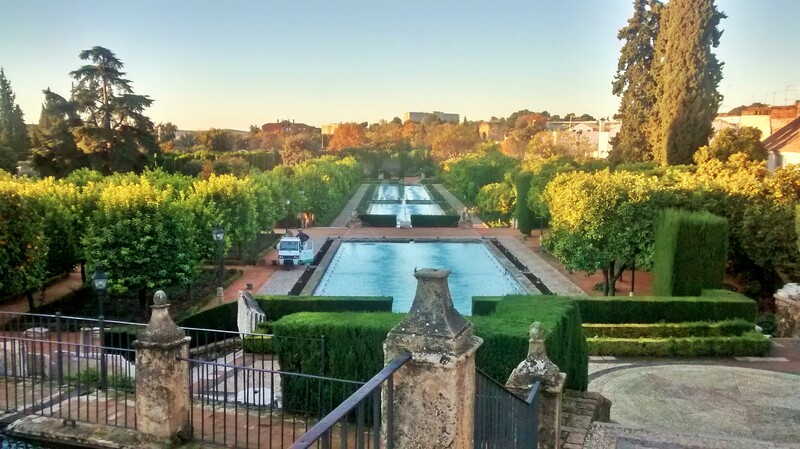 This is the largest part of the gardens, with a large promenade in the center starting from the main gate, and going up in terraces to culminate in a large series of ponds and fountains at the vey top, from which one is afforded sweeping views of the gardens. 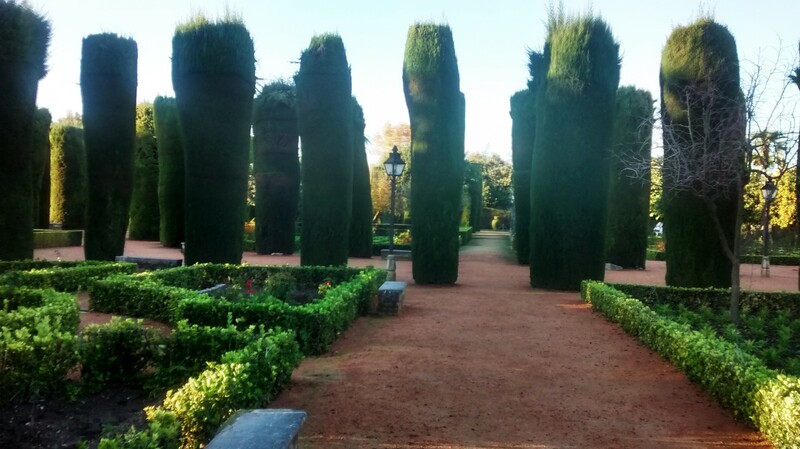 It is also the most formal part of the gardens, yet, in true Forestier style, intimate theme gardens are dotted along the sides. 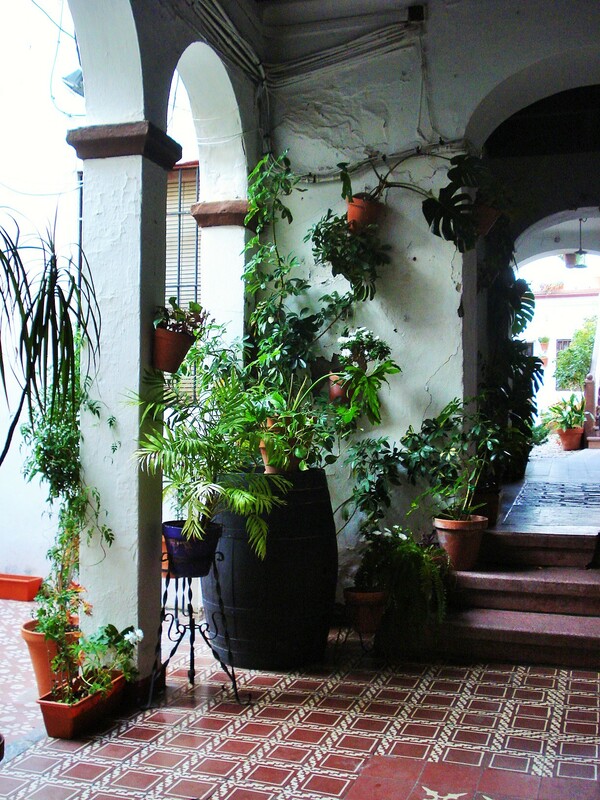 An intricate arbor walk displays different varieties of climbers. 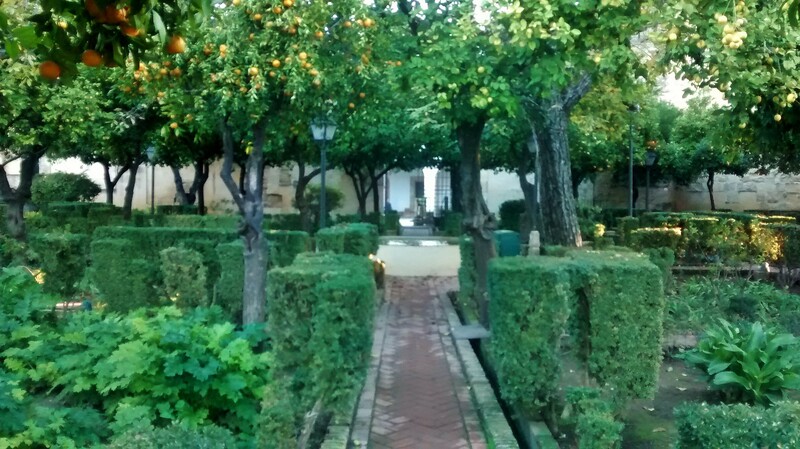 An area is allocated to fruit tree with a country style orchard. 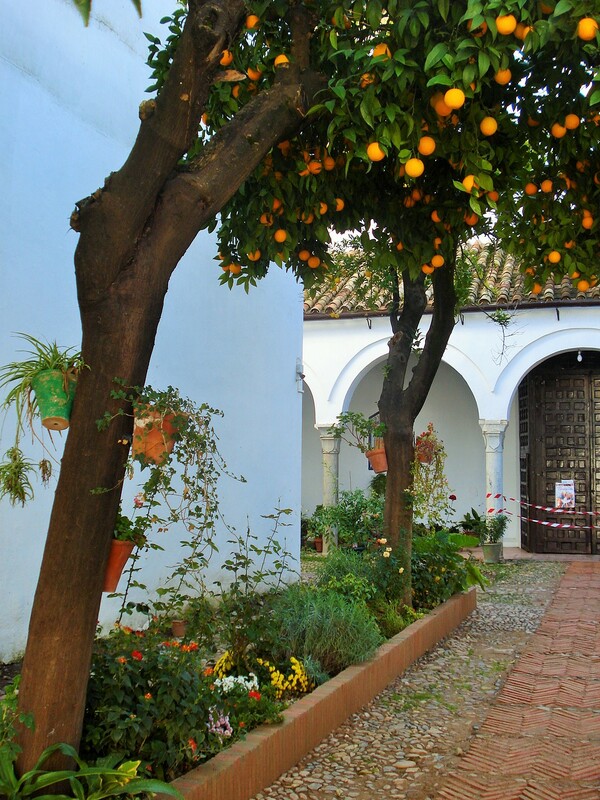 There are also areas for pomegranates (of which the gardens grow no less than 18 varieties) and olive trees, rose, and palms. 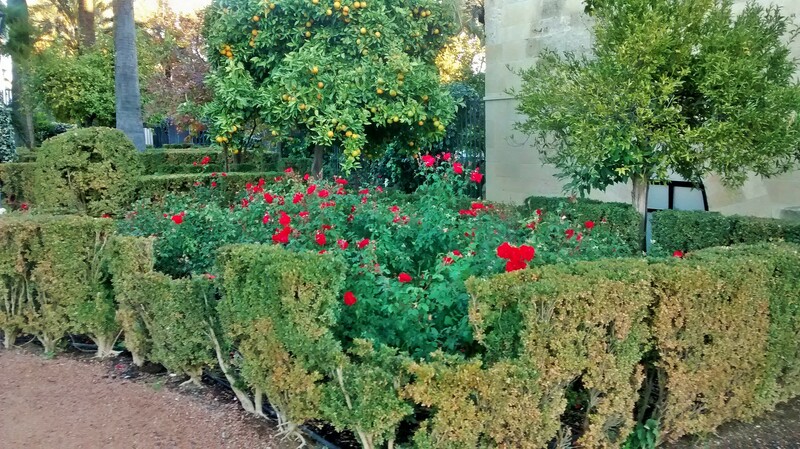 Because there is a good bit to see here, I am dividing this into several posts, and this is the second post on the western gardens. 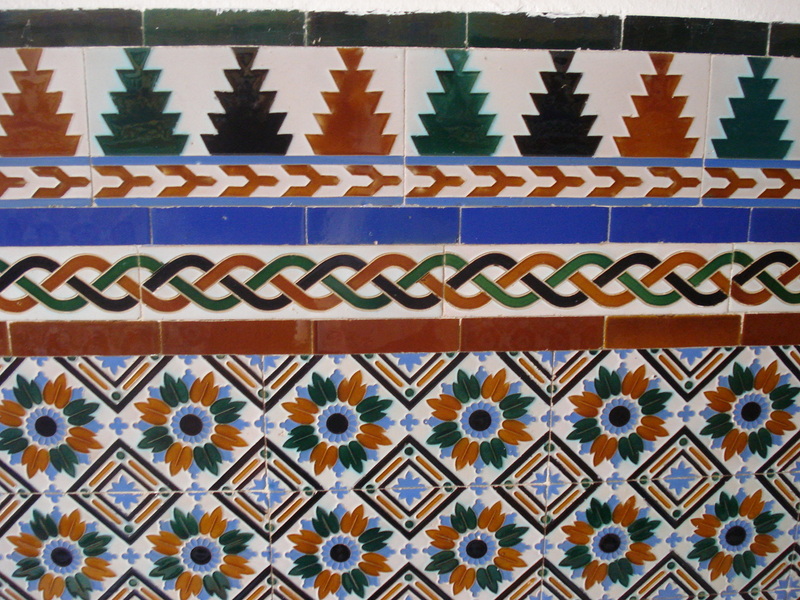 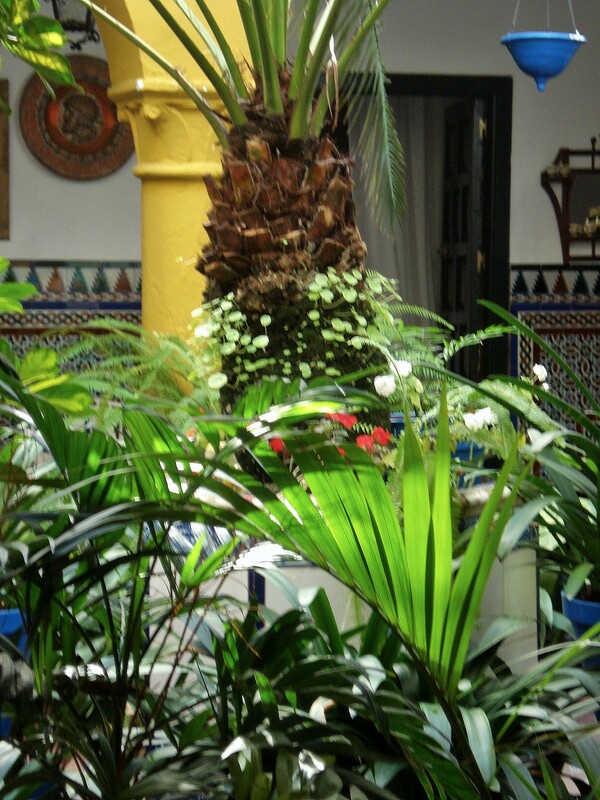 Forestier was intensely influenced by the gardens of Andalusia, in particular the presence of water. 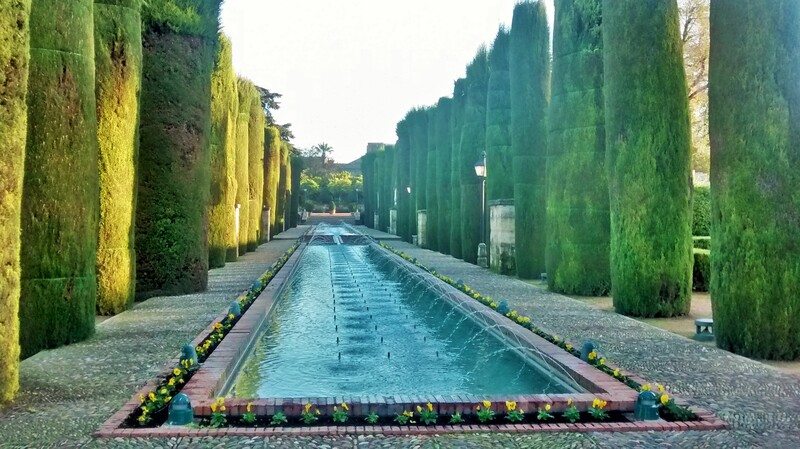 He recreated for example the water canal running down the stairs of the Generalife in Granada, in the stairs of the Larribal Gardens he created in Barcelona. 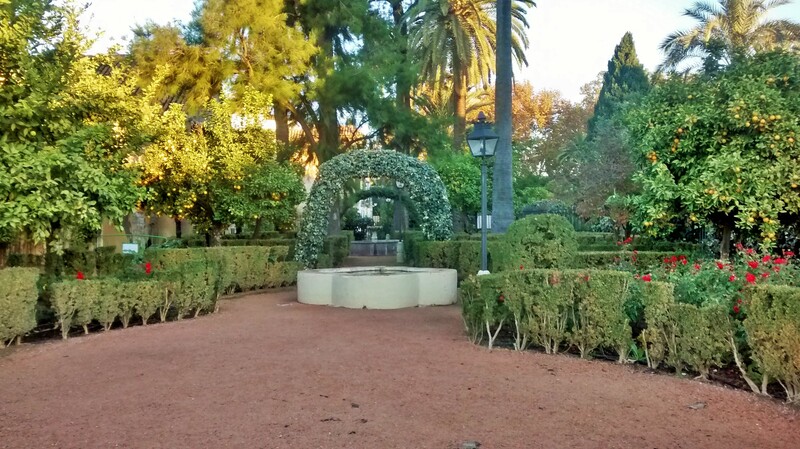 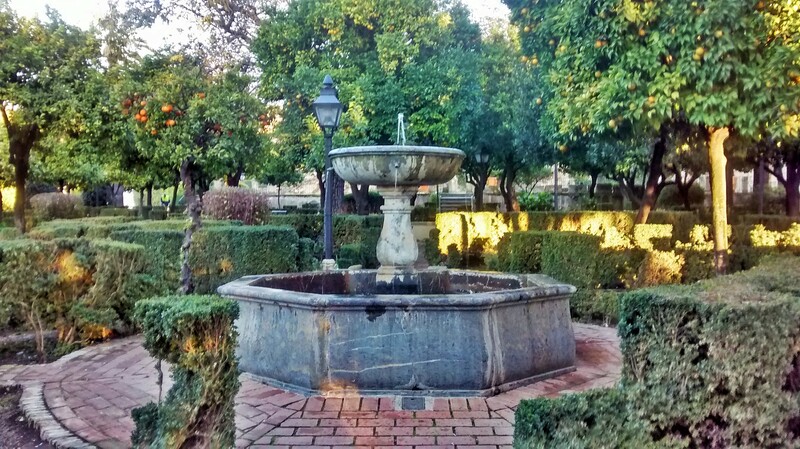 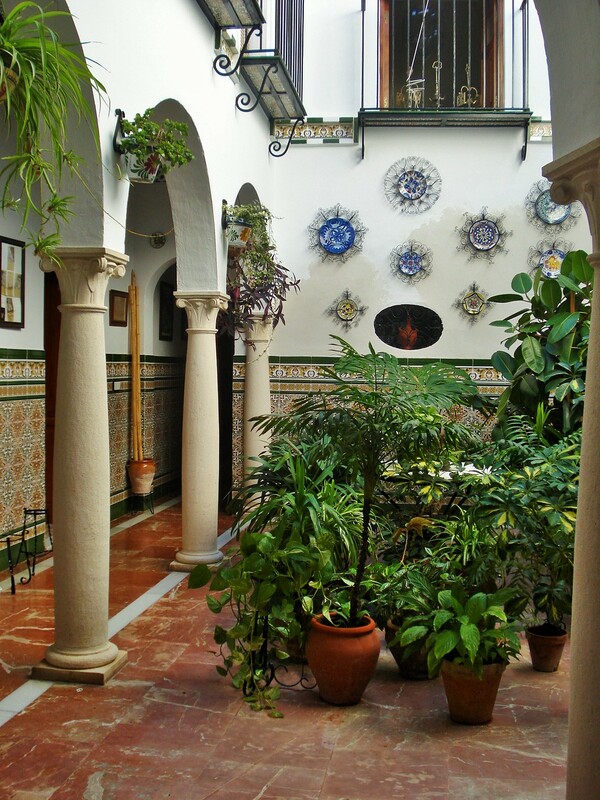 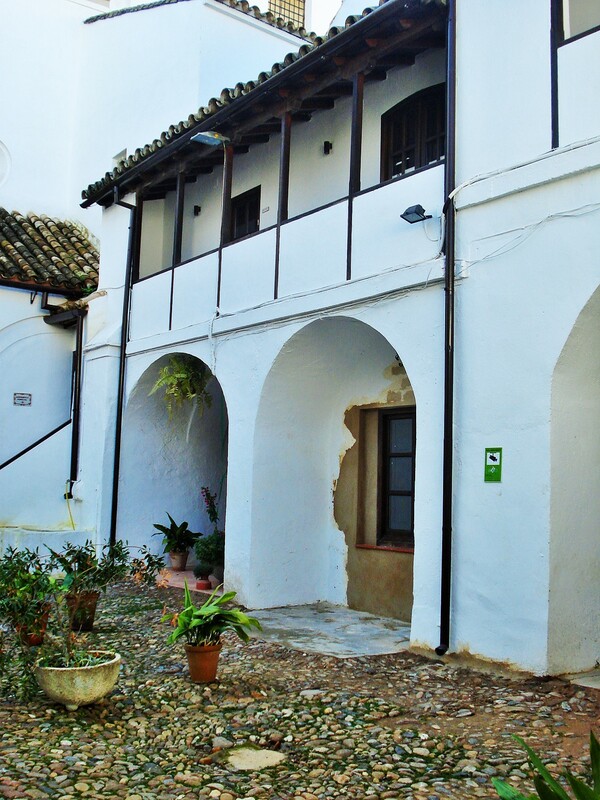 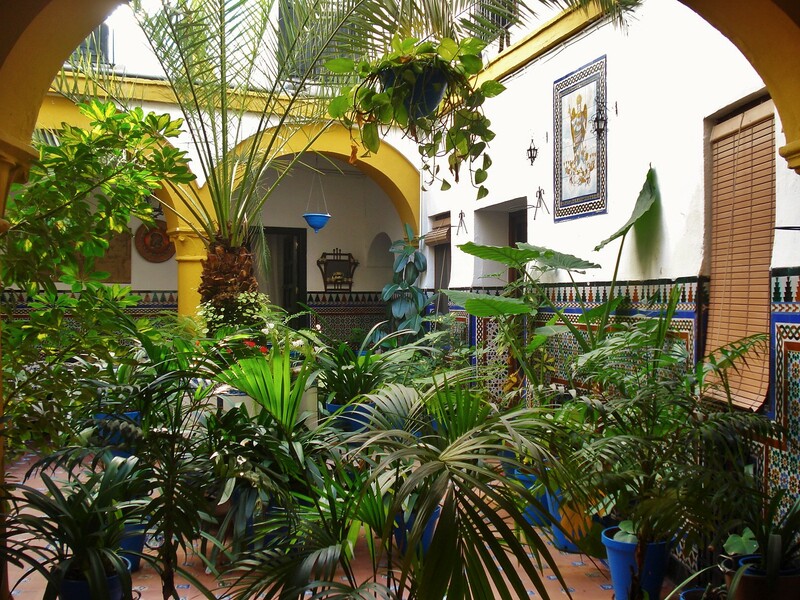 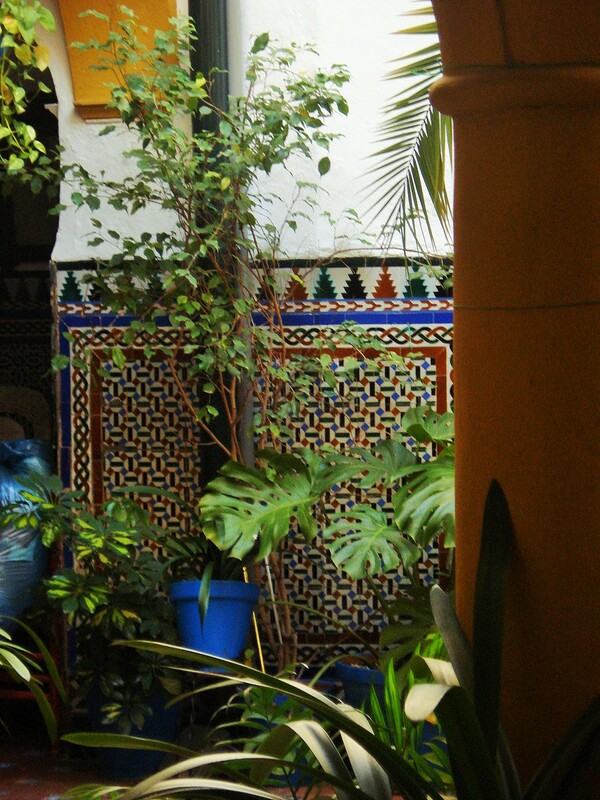 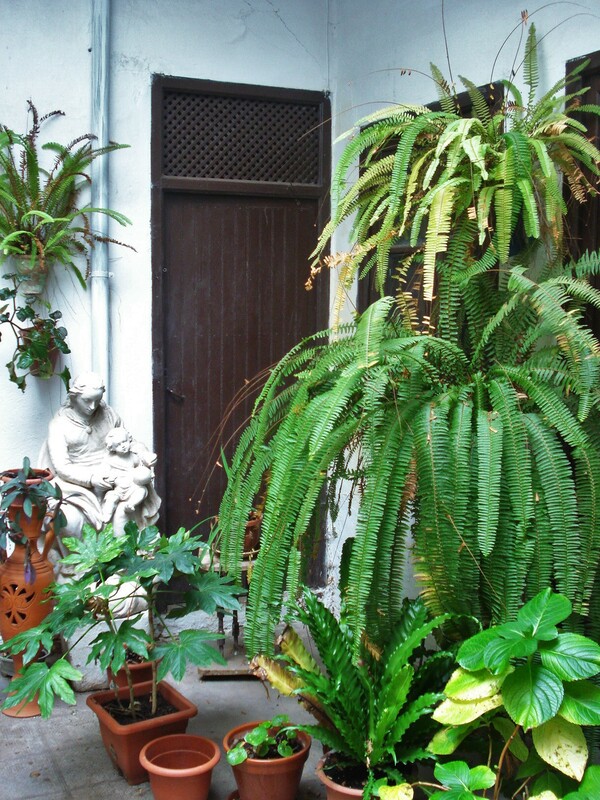 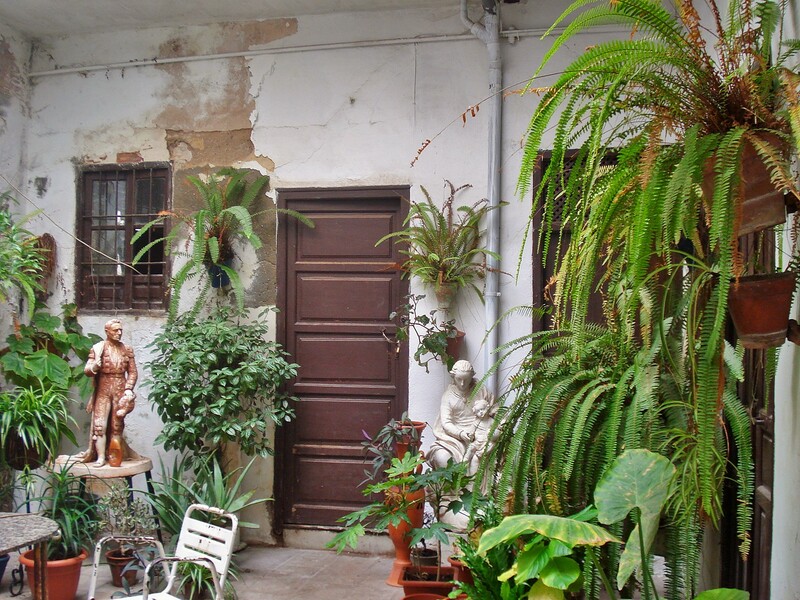 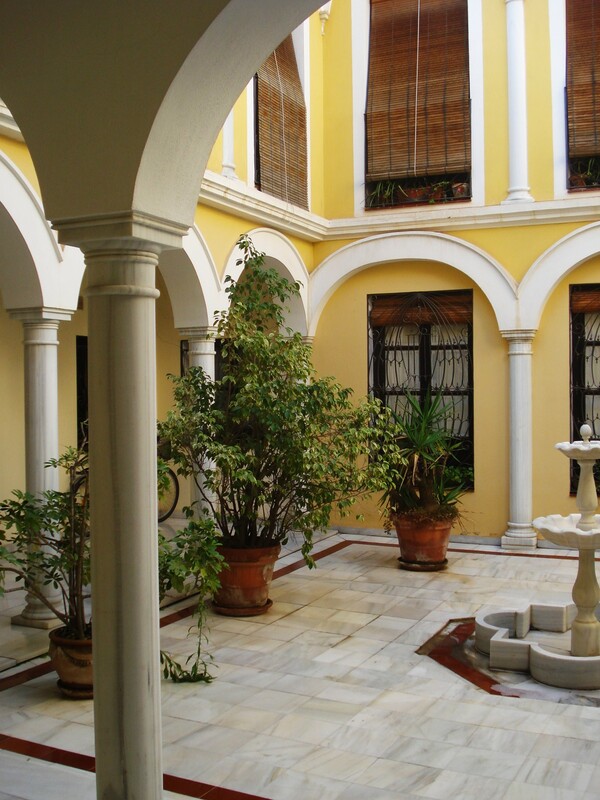 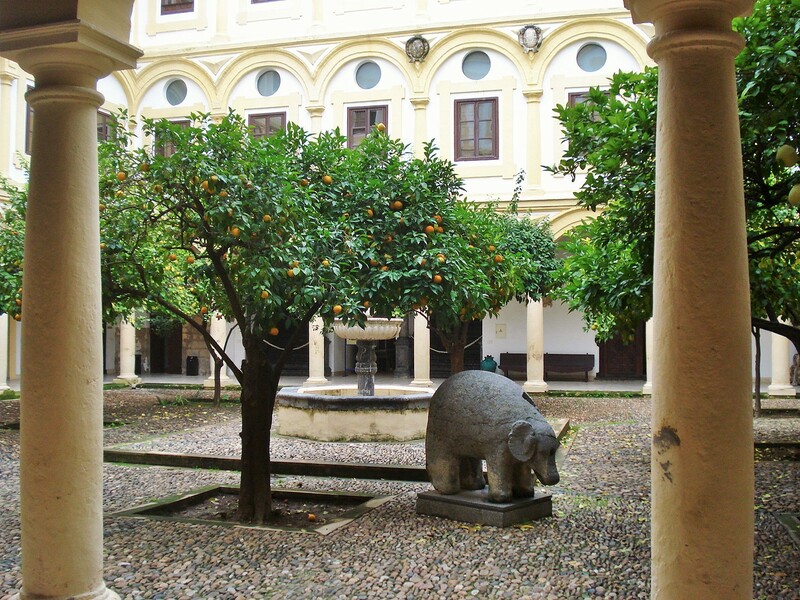 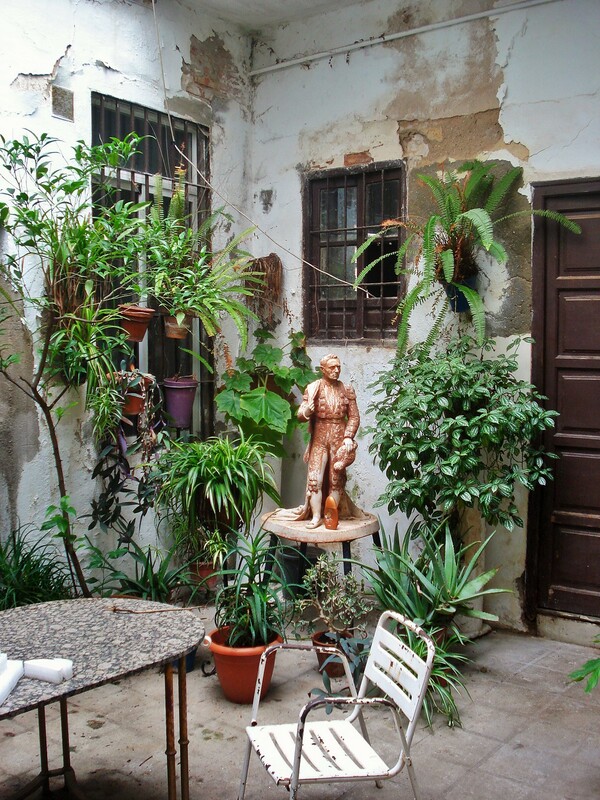 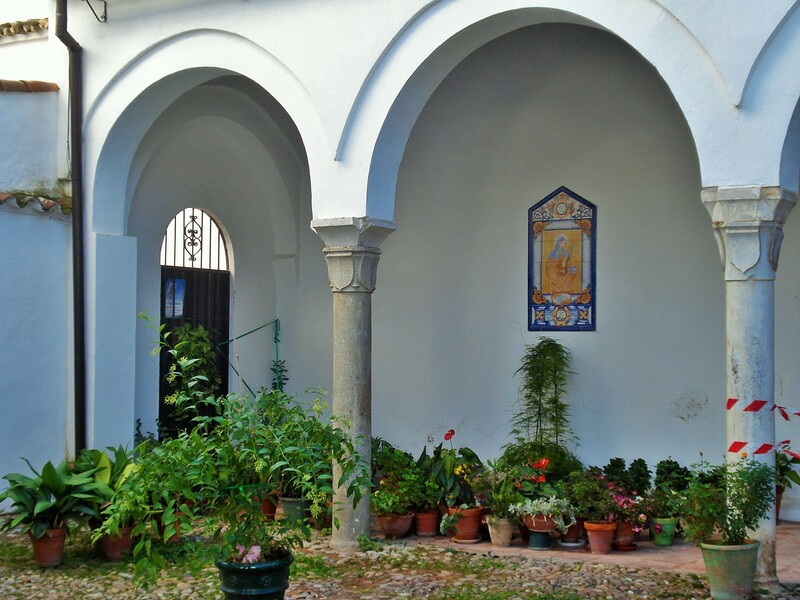 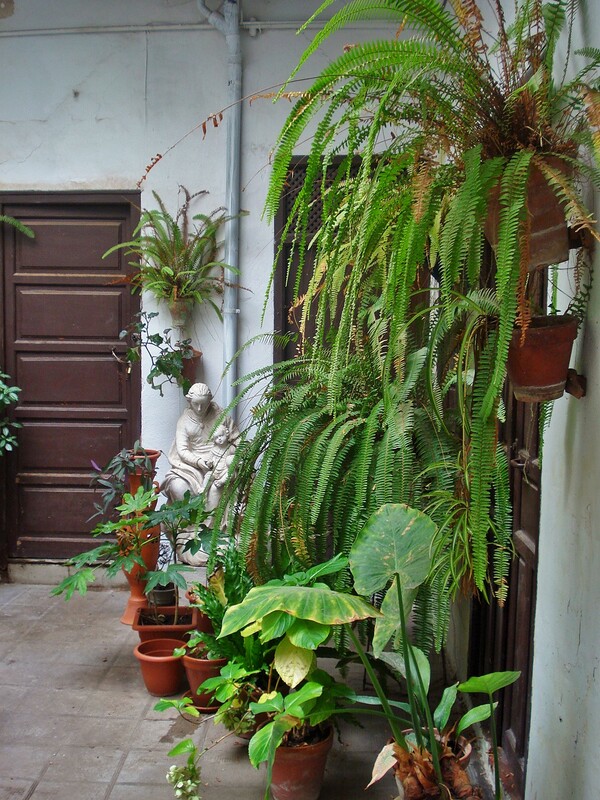 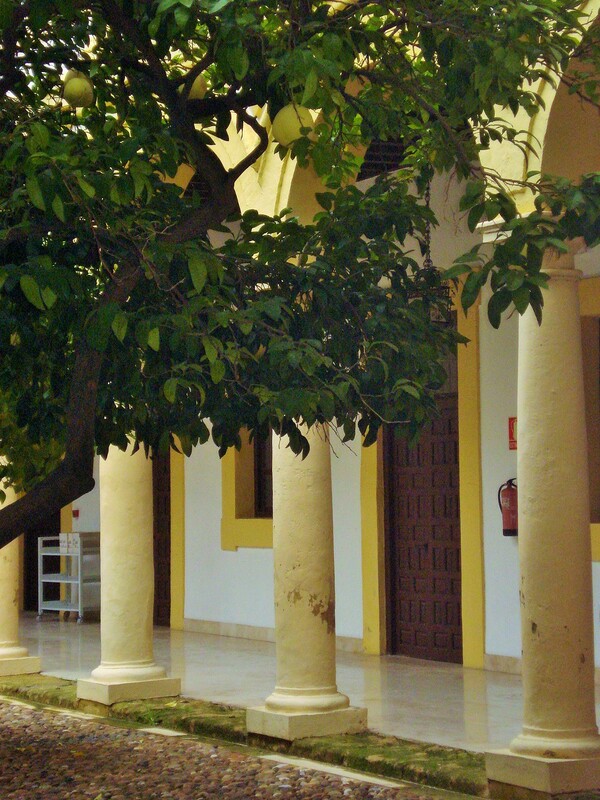 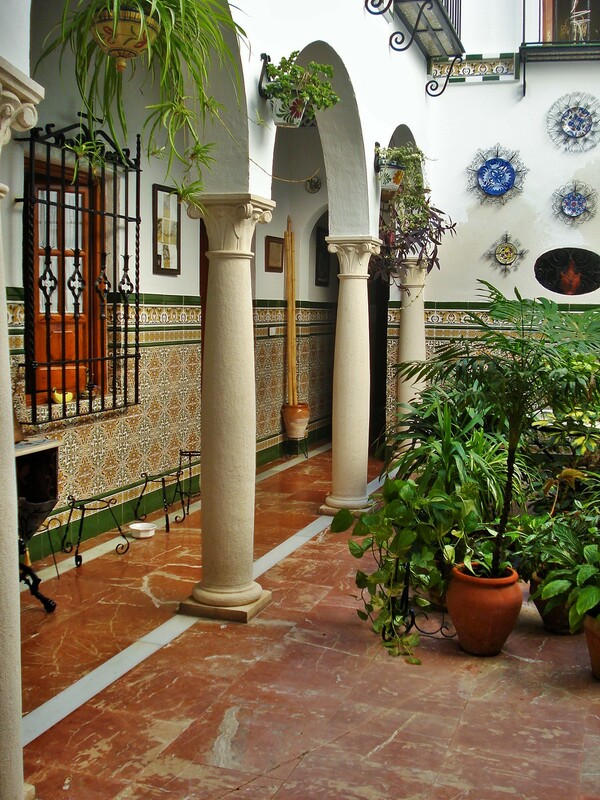 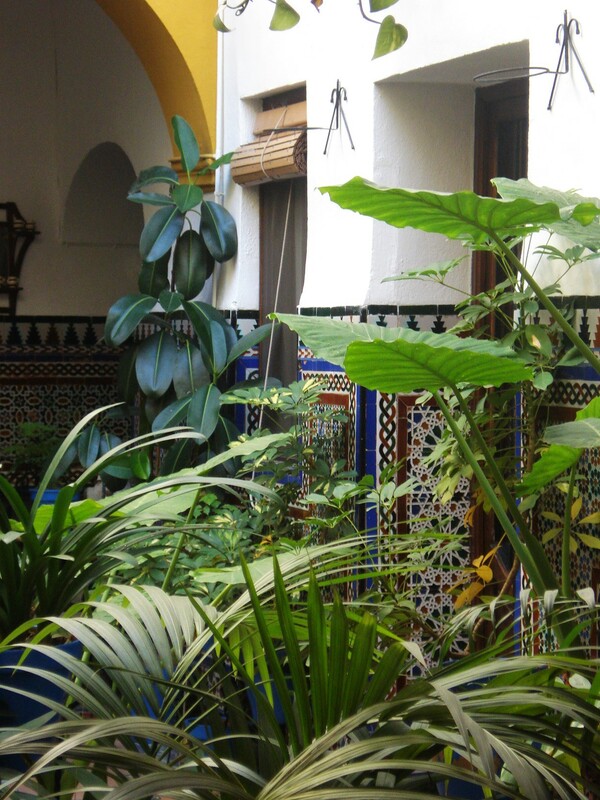 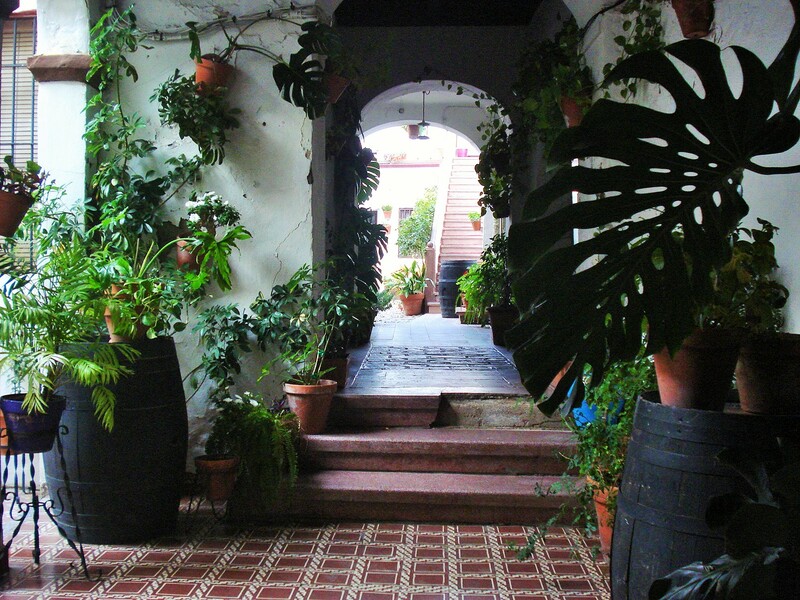 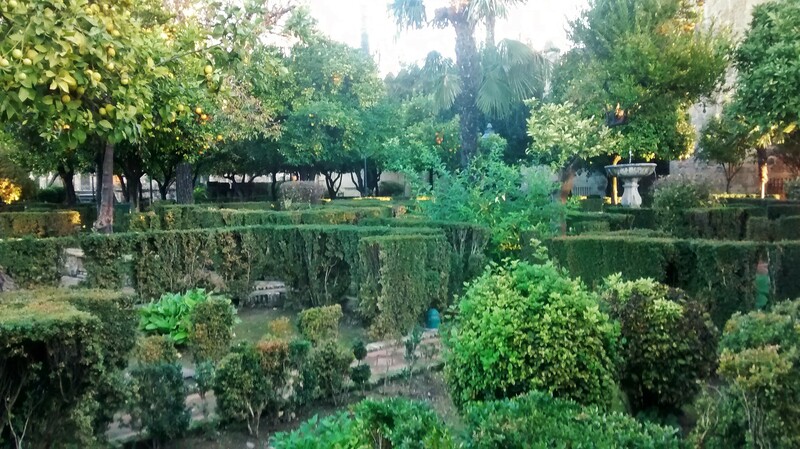 Here, he gives us a typical Andalusian garden, complete with plantings, water features, and a Moorish house used as the garden museum. 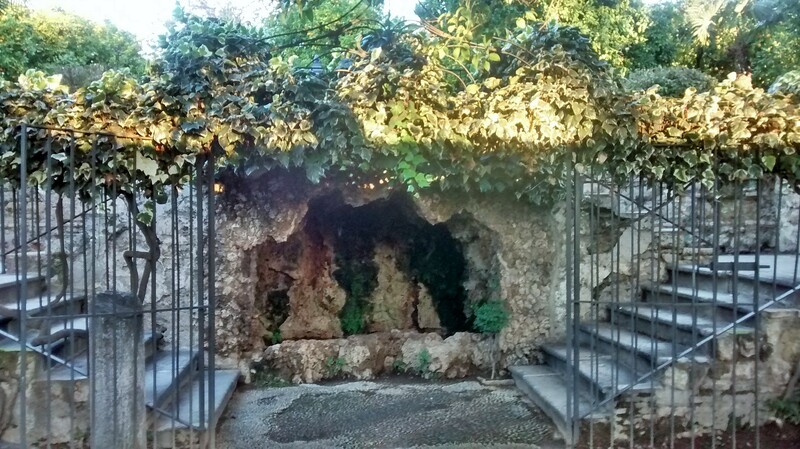 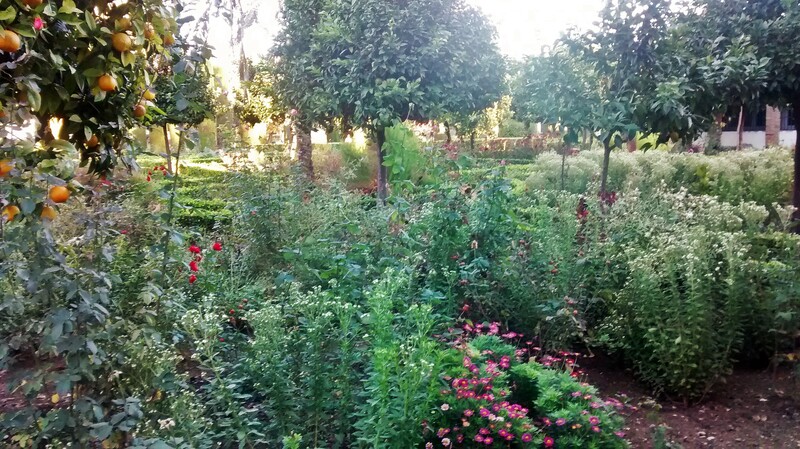 Because there is a good bit to see here, I am dividing this into several posts, and this is the first post on the western gardens. 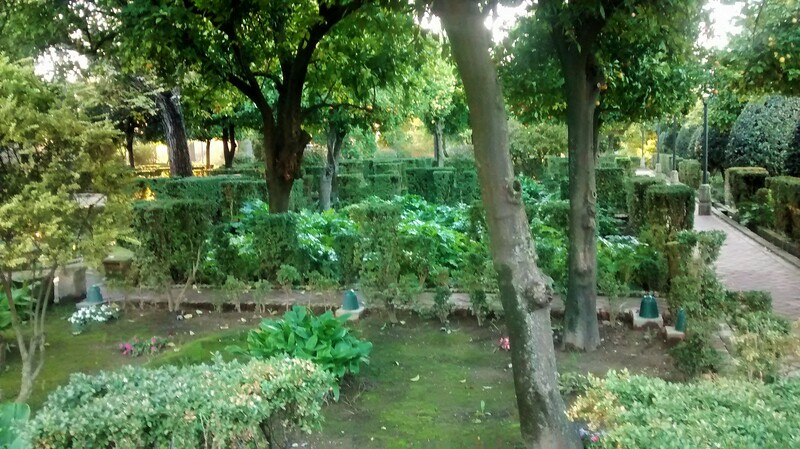 While inaugurated in 2013, much work remained to bring these gardens back to their former glory, and it is visible in particular in the western gardens were large areas remain to be cleaned up, and others have been planted or replanted in recent years so the specimens are still quite small. 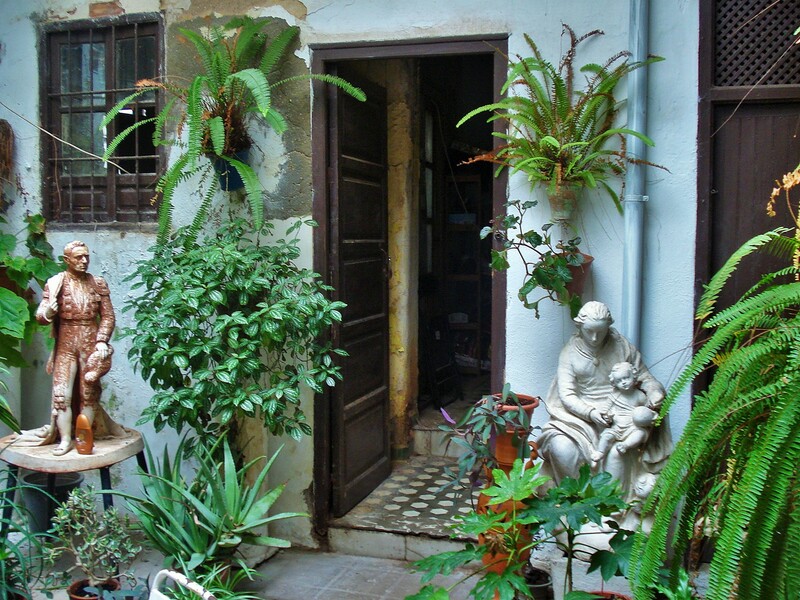 But while wandering down the alleys, Forestier’s signature style is unmistakable in the way he creates intimate garden spaces tucked away everywhere, and blends plantings and garden structures seamlessly for an element of surprise. 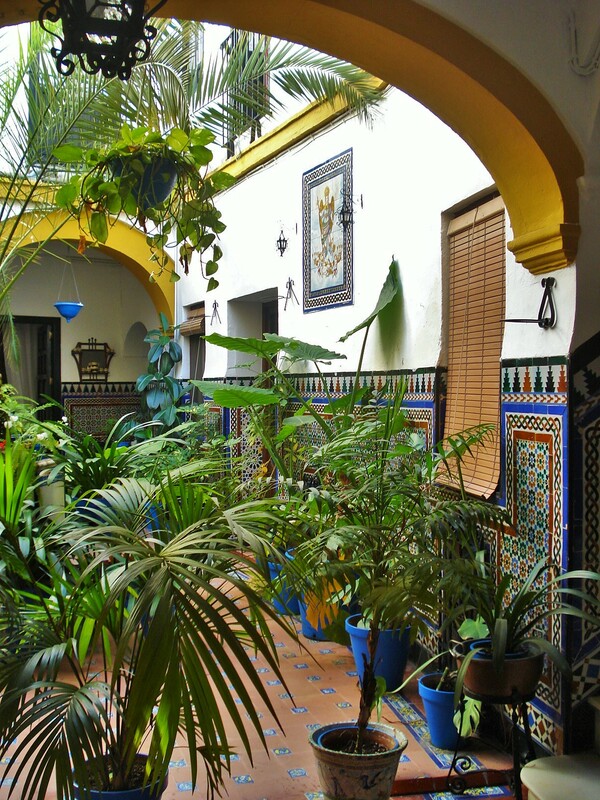 The city of Rabat, capital of Morocco, is a Unesco World Heritage site, One of the most famous and distinctive landmarks in the city is the Hassan Tower. 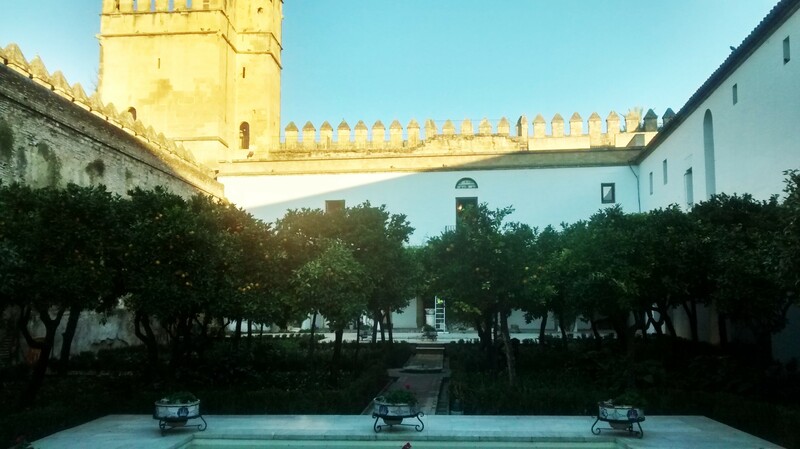 Begun in the 12th century, it was at one time the second largest mosque in the the islamic world, but little remains of it besides the tower of minaret, reminiscent of the Koutoubia in Marrakech. 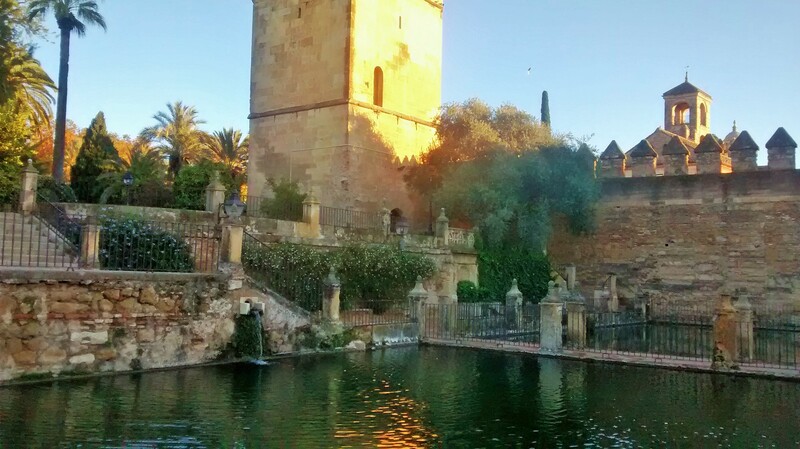 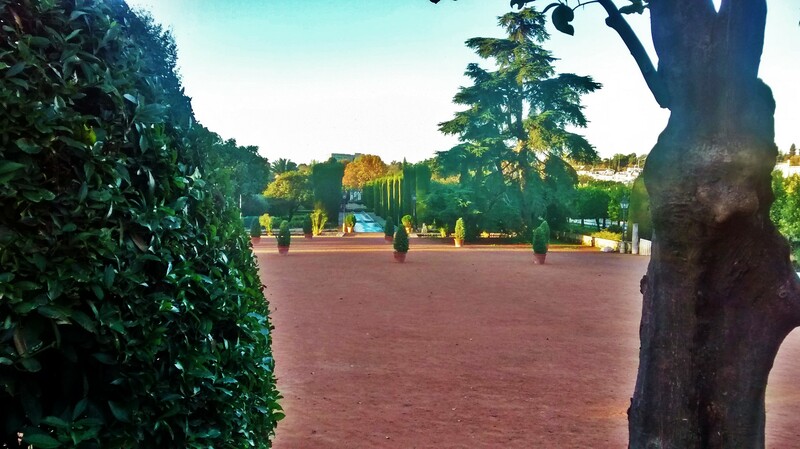 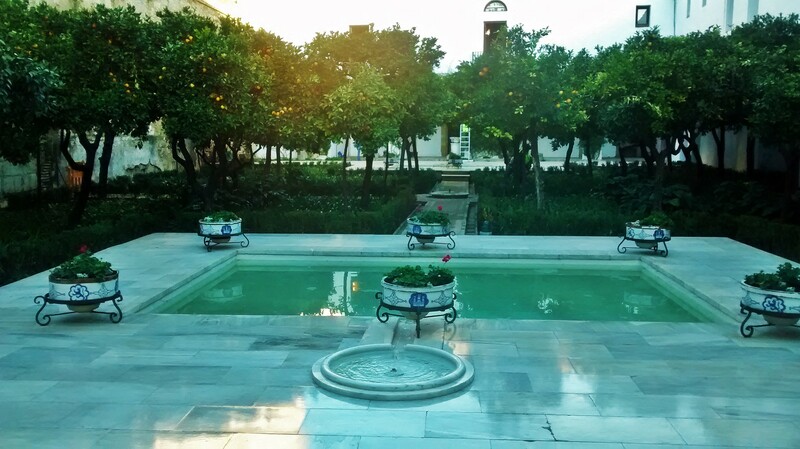 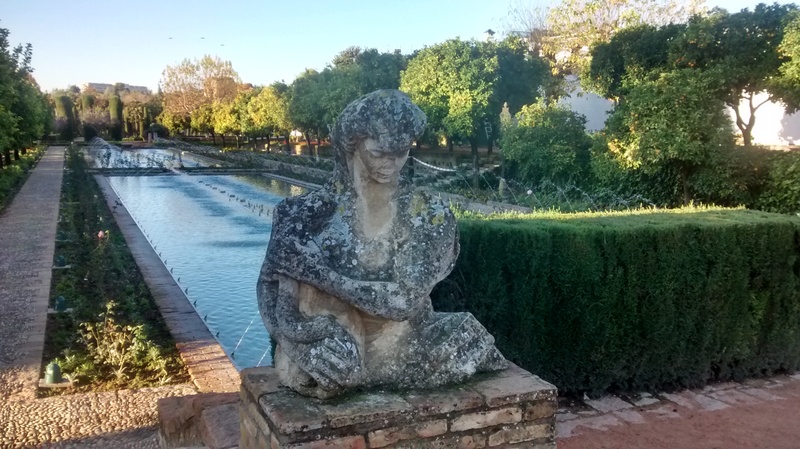 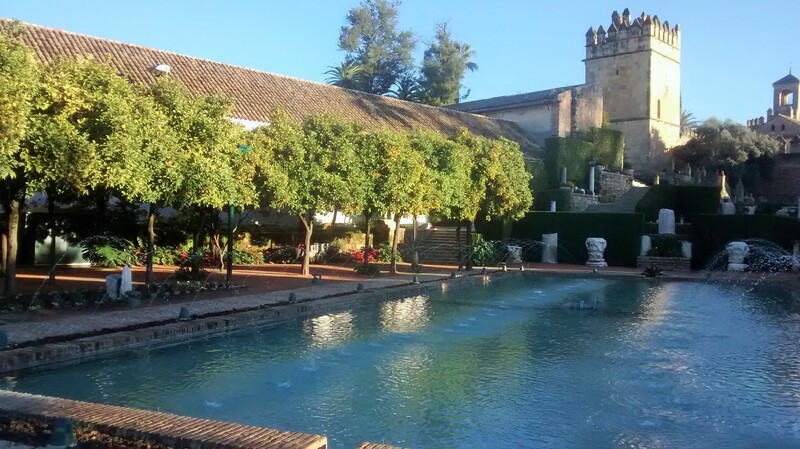 At the foot of the tower, are some pleasant gardens, typical of Moorish and Andalusian gardens, with landscaped terraces, meandering paths, and of course the ever present water features connecting multiple levels with canals, ponds and fountains. 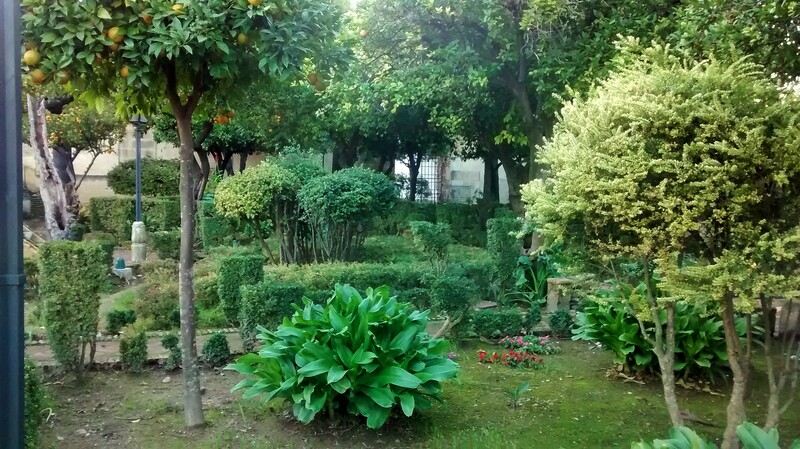 While not extraordinary in any way, these are very pleasant gardens worth visiting on a trip to see the Hassan Tower.